Cascade Plus Fertilizer from Precision Laboratories combines the proven wetting agent technology of Cascade Plus with a unique fertilizer blend. Now you can apply enhanced water infiltration chemistry and essential soil nutrients in one easy application, on tees, fairways and roughs. See use rate chart on Specimen Label. Use at 5 lbs. 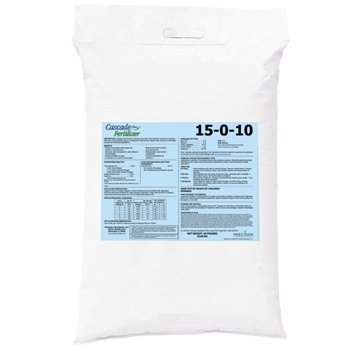 per 1000 ft² to obtain 8 ounces of Cascade Plus per 1000 ft².